All three pairs were knit on our boat trip to Ocracoke, NC. 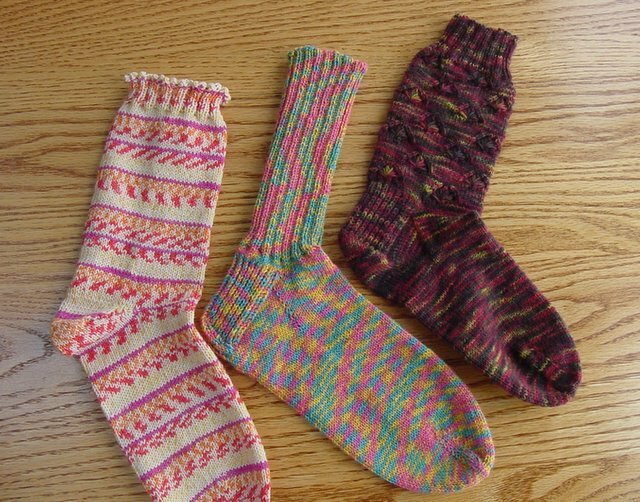 Two left socks are made of Sockotta yarn and the brown one is handpaint Opal. Middle: My normal toe up dutch heel with grafted cast off. Right: Maple Leaf pattern from Jeanie Townsend. Knit top down.